Brrrrrr! It feels like winter is coming on quick now. It’s time for warm coats and cozy blankets. Sadly there are many people who don’t have what they need to stay warm when the weather turns cold. In fact homelessness has jumped nearly 10% in the last two years. There are currently 4,177 people without permanent homes on any given night in Portland. 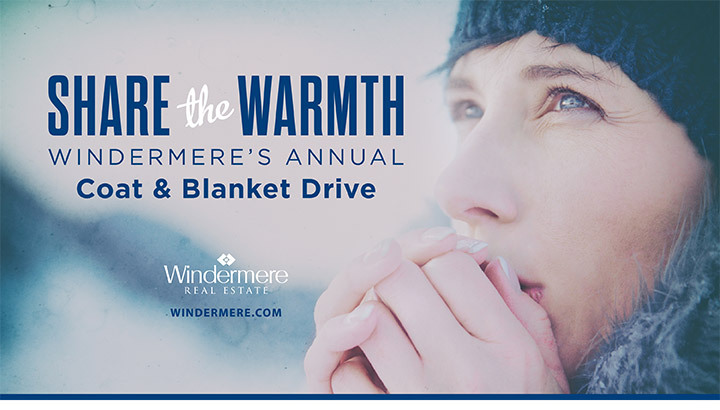 As part of Windermere’s long-standing commitment to help those in need, our offices throughout Oregon and SW Washington will be collecting coats and blankets NOW THROUGH DECEMBER 15, M-F, 9am to 5pm. I invite you to join us in the effort. Please help share the warmth this winter by bringing new or gently used adult-sized coats and twin-sized blankets. My office is the Windermere office in Sellwood at 1610 SE Bybee Blvd if you want to swing by with a coat or blanket, I might be around for a quick hello and hug. Or you can visit any of the other Windermere offices that might be more convenient for you. Click here to find a Windermere office near you. Thanks in advance for your generous donation. Stay safe and warm this winter.